Spread the cost from only £148.50 a month with Interest Free Credit. A company named after the Czech word for glass, SkLO creates beautiful lighting collections, designed by Karen Gilbert and Paul Pavlak, both having a rich background in craft, architecture and design. 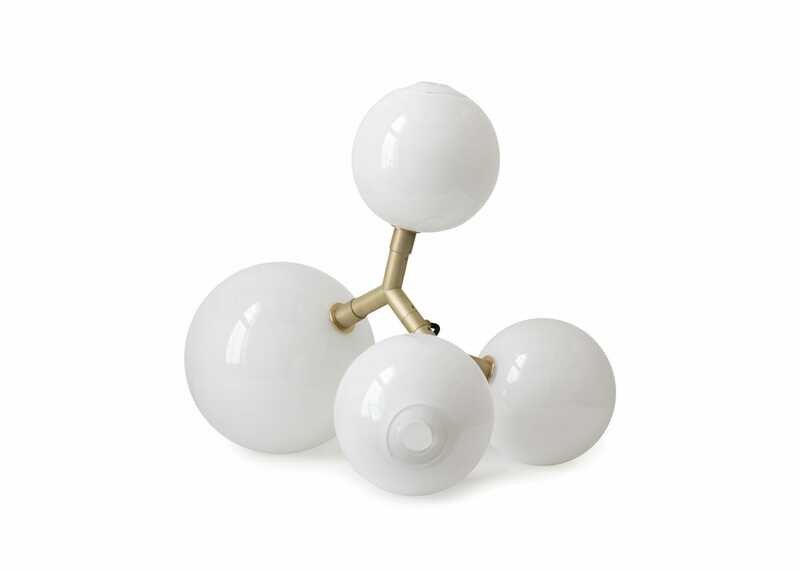 The Veer light consists of four lit glass spheres on a brass armature, three of the spheres are the same in size with the fourth being slightly bigger. The glass shapes feature double-dipped fire-polished mouths where the piece is broken from the glass master's pipe, making each unique. 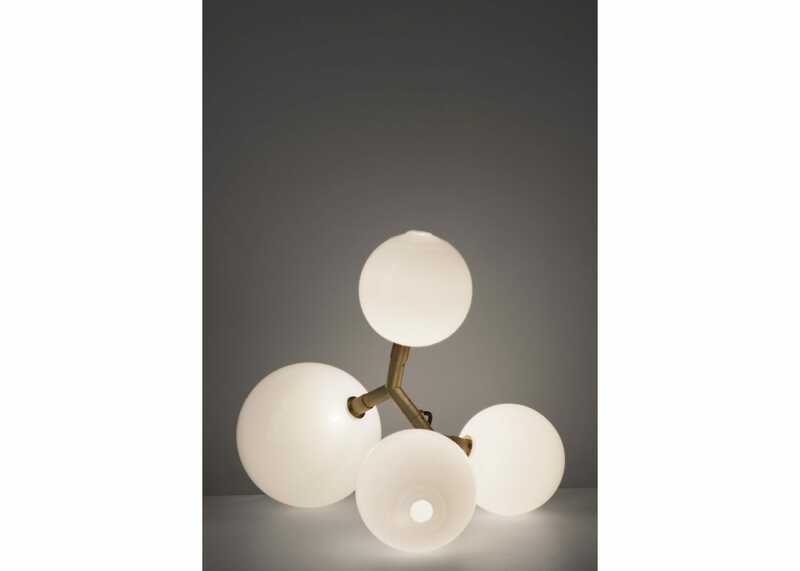 The light can be placed in different positions on a table or hung as a pendant.